Understanding Yandere Lovers – Yanderes and Appeal is the third in a series of books by Kai Wei on the appeal of various anime archetypes. 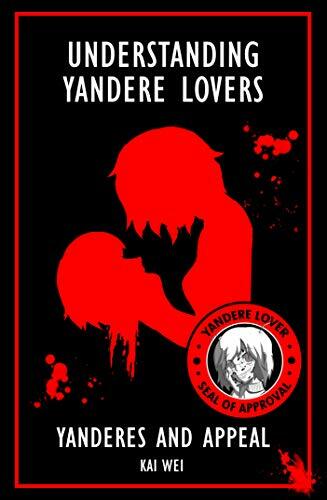 The book examines the yandere archetype, defining it, explaining its appeal, and discussing the various ways in which the archetype manifests. The first thing to point out is that the book takes a more literal approach than a meta-narrative one. It’s more of an examination of the archetype as it exists and occurs than a study on its development as a storytelling tool. That said, it’s an excellent reference for people curious about the yandere archetype, but unsure of where to begin with it. One interesting thing to point out is that it tends against using specific examples from anime, choosing instead to explain the archetype and its appeal in an almost scientific way. This makes it a better resources for uninitiated people who have fewer points of reference for yandere. The book is written in a very frank way that can come off as tounge-in-cheek at times, but nonetheless takes itself seriously enough to do justice to the yandere archetype by being accurate in defining it and explaining its appeal. Newcomers will learn plenty about the wonderful world of yandere, while existing fans will find themselves nodding along. Understanding Yandere Lovers – Yanderes and Appeal is available on Amazon.